Ellensburg’s downtown made a name for itself as it transformed from streets of vacant buildings to a cultural center alive with local shops and restaurants. 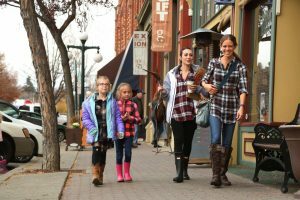 While the charming blocks of downtown Ellensburg are a treat to explore and experience throughout the year, there is no time more magical to visit the downtown area than during the (fast approaching) holiday season! 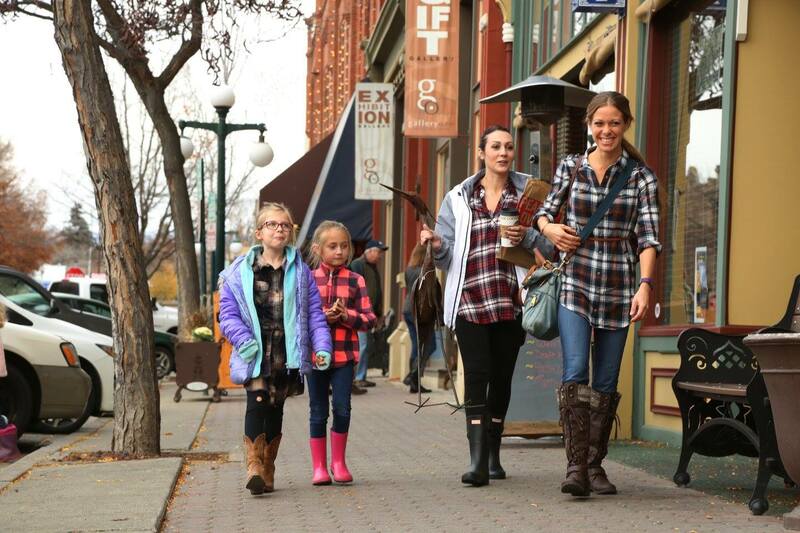 Lucky for downtown visitors and long-time residents alike, the Ellensburg Downtown Association hosts a myriad of festive events during the last months of the year that delight both children and adults. So, before you decide to lock yourself inside because of the subzero temperatures that are looming on the horizon, here is a list of ways to celebrate the season in downtown Ellensburg this year. Downtown businesses will be stocking their stores with candy and treats galore this Halloween as they welcome hundreds of ghouls, cowboys, princesses, and more. From 3 – 6 p.m. on Halloween, families can participate in the Downtown Trick-or-Treat, with signs in store-front windows indicating participation. There’s no need to worry about safety, as CWU ROTC members from both the Army and Airforce will be helping at crosswalks. With the added photo opportunities provided by the Daily Record at their main street location, the Downtown Trick-or-Treat is a can’t-miss for families! The end of one holiday means the beginning of another wonderful celebration in Ellensburg. The Friday after Thanksgiving is dedicated to Moments to Remember—a day full of events hosted downtown to kickoff the holiday shopping season. While there are almost too many events to list, here are a few to remember: Teddy Bear’s First Christmas will be performed at Fitterer’s Furniture by the Ellensburg Children’s Musical Theater on Friday afternoon. From 2-4 p.m. your child can collect different cookie decorating materials from local businesses that will culminate in a cookie decorating bonanza at the Rotary Pavilion! After cookie decorating, there are a plethora of evening events to choose from (or you could marathon all of them for an evening full of cheer)! There is Dancing in the State Farm Windows, the Safeway and Downtown Tree Lightings, and the Streets of Bethlehem performance. The Fairground will have its own set of events that day as well. During all of this, be sure to wear plaid to celebrate the national event, Plaid Friday, that promotes holiday shopping at local businesses. See a full list of details and event times HERE. 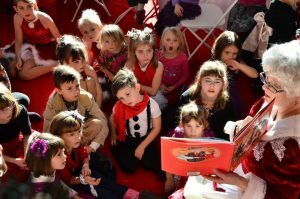 If you’re looking for a holiday event that will amaze the little ones, look no further than Teddy Bear Tea. The event, held at Kelleher Motor Company, will make your children’s dreams come true as they have a fancy lunch with none other than Mrs. Claus! Crafts, dance performances, and storytelling are all in store and will make the afternoon one that your whole family will remember! While many holiday events are geared towards children, Holiday Girls Night out celebrates the women of the Ellensburg community and is the perfect opportunity to give mom the night off! Participating downtown businesses will offer live entertainment, discounts, refreshments and more during one of the community’s most popular events! As an added incentive to get in on the fun, every $10 spent in participating downtown business will enter you into a raffle for one of two gift baskets full of merchandise from the businesses you love! With free transportation to Ellensburg from those who live in Yakima, what’s to stop you? When: December 7th 5-9 p.m. Where: All around downtown! The most festive time of the year is right around the corner, and these events will delight you and your family as you enjoy the season. Now, get out there and celebrate!